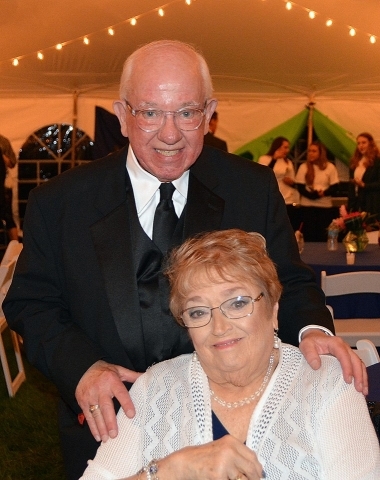 Entertainment - The Muskegon Channel | We Have A New Story to Tell! 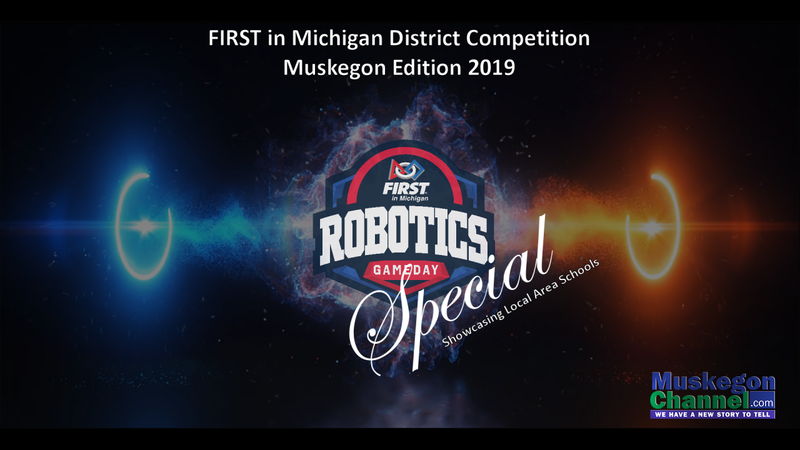 A FIRST in Michigan (FIM) robotic competition district final was held on 16th March, 2019 at Orchard View High School in Muskegon, Michigan. The Muskegon Channel had partnered with FIM to simulcast the 8 hours long competition. Now that's over we have compiled a feature length program of the competition highlighting our local area high schools plus other enhancements and bonus materials. 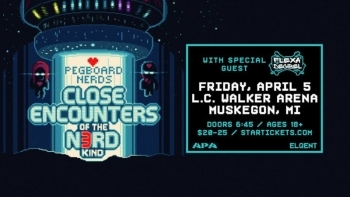 Muskecon got started a couple years ago by Pete McCarthy who's an avid collector and admitted "geek" celebrating all things "geek" with his fellow "geeks" and to the surprise of everyone....there were a LOT of geeks in Muskegon! 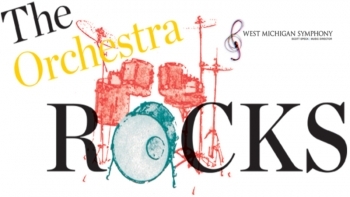 The show was an incredible hit Downtown Muskegon and came back for year two, and now on to year 3 March 23rd 2019! Guillermo Olivo is the creator of "Plastic Crack". It's a documentary about collectors and the lengths they go to fuel their love for nostalgia, unique additions to their collections and what drives them to accumulate such massive collections. Some of which, admittedly go far beyond obsession for the love of their stuff. Locally, we have some of our collectors featured in the film. Steve Biesiada is a local collector who's got a pretty good role in the film and will also be at the Muskecon. Steve is also tied in to some local Podcasts, "The Podcasters of the Universe" and "My Wife is Going Kill Me" both of which are centered around collectibles and toys...and if it's not all falling in to place for you by now...the magic if the internet is what's brought all these guys together and will be bringing Guillermo to Muskegon later this month to discuss his film. I'll tell you this, "Plastic Crack" is WAY more than a guy going around with a camera showing off toy collections. Guillermo takes a very deep and human approach to collectors and collections and just how much of an impact, good or bad, they can have on peoples lives. Some of the collectors in the series take some very high risks to protect what they have and some trade one addiction for another. It's a pretty intense viewing experience and delves deep into the human psyche. It's very much worth watching. I had a chance to talk to Guillermo in advance of his visit to Muskegon on March 23rd. We talk about "Plastic Crack" and how he came to have such deep connections in Muskegon. We also talk about this wave of collectors we're seeing in today's age and the growing need for nostalgia. Take a listen. A fun conversation and a fun event coming up. Make sure you check out Muskecon March 23rd at The Holiday Inn Downtown Muskegon and jump on Amazon to see "Plastic Crack" before you come so you can see the docuseries in advance of the panel Guillermo will be hosting at the event! 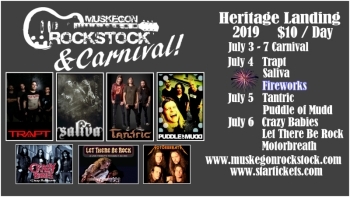 It's a great event coming to Muskegon and growing. 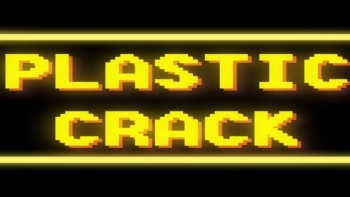 Take a look at the "Plastic Crack" trailer in the link below! We'll see you at Muskecon March 23rd. It was a great night!! Our first show at Smash Wine Bar and Bistro at the end of January was in the "Polar Vortex" and we had a great time and all, but it was a little rough being the debut and all. The weather kept some people home understandably, everything and everyone was new to the production and like any opening night, we wondered "what if"? Well, it all seemed to be seamless on the second go around. We welcomed County Commissioner Bob Scolnick, dropped a new Freak Your Geek Out, Magician Bill Blagg came in advance of his show at the Frauenthal Theater on Friday March 1st and we had visits from Pete McCarthy from Muskecon and Cindy Larsen from the Muskegon Lakeshore Chamber of Commerce to talk about the Home Garden and DIY show! It was quite a time! If you missed it, here it is again, on demand for ya! 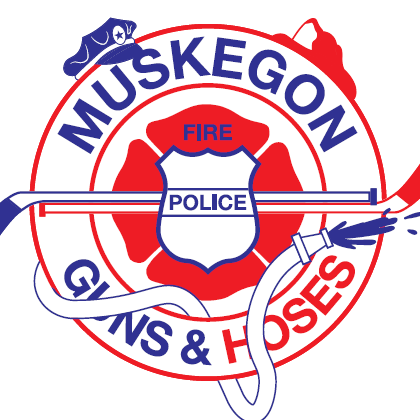 It's episode 2 of Muskegon Tonight Live! from Smash Wine Bar and Bistro on The Muskegon Channel. 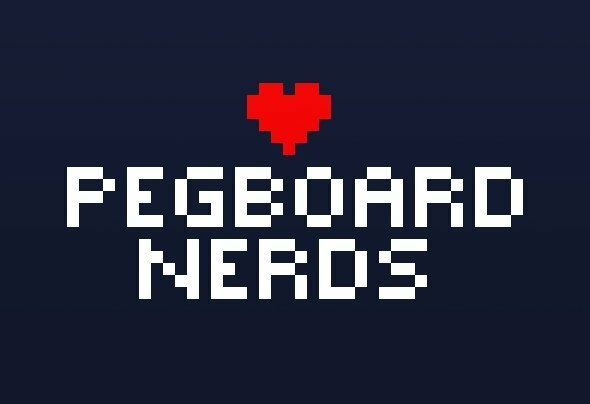 You'll find links to everything below! Thanks to all who came out and to all of our guests! Click on the images below to visit the respective web sites. Don't forget too, Smash Wine Bar and Bistro is debuting a brand new menu, so head down and try it soon! A little re-thinking was involved. 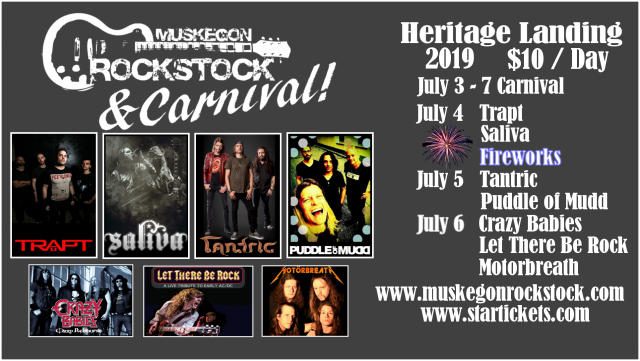 A little tweaking of what worked and what didn't and the imaginative party planners behind the "Parka" days re-invented Muskegon's way to have a great time in the dead of Winter and raise a few bucks for the Winter Sports Complex. You're still encouraged to dress appropriately for the season. Anything that says Rossignol - K2 - Elan - Nubs Nob - Cannonsburg, you name it, totally cool to wear! Still have your moon boots! Bring em! Prefer a warmer mindset? Well that's fine. 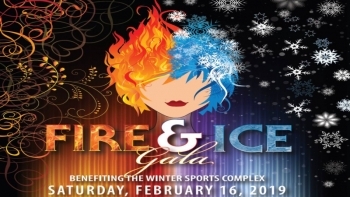 The party is all about "Fire and Ice" of if you like it hot, or like it cold...there's something going on for ya. 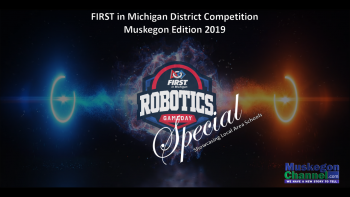 Things get underway at 7 with a live special on The Muskegon Channel where Britta will be greeting the crowd and sharing some info with the audience watching at home about the Winter Sports Complex as well as how the park is transitioning into a year round facility. Adding zip lines, tree canopy tours and so much more. 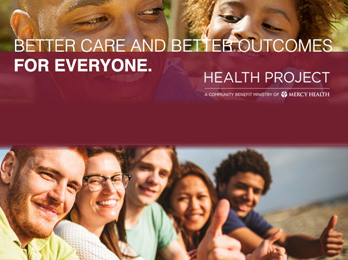 It's going to be an incredible way to get the ball rolling. The West Side Soul Surfers take the stage at 8 with awesome music. There are going to be fire dancers, a shot luge carved by Jack Page. Great food by Fatty Lumpkins. How about a s'mores bar and a hot chocolate and coffee bar? A great silent auction to help with a few bucks and SO much more!! The Watermark 920 knows how to throw a party...and you can't miss this one! 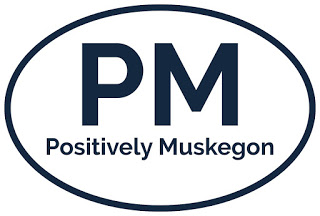 Britta caught up with Jim Rudicil of the Muskegon Winter Sports Complex and Laurel Sass to talk about the party and purpose. Take a listen! It's going to be an awesome night you don't want to miss! Get those tickets in advance by clicking on the photo below and don't wait till the last minute. This is a great night for a great purpose and the money raised goes directly to benefit one of our most incredible town treasures, the Muskegon Winter Sports Complex! 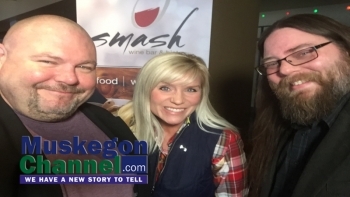 It was the premiere episode of Muskegon Tonight at Smash Wine Bar and Bistro. The "polar vortex" was on everyone's mind, but it sure didn't stop a great crowd from turning out to be a part of the launch! The show, hosted by Andy O'Riley and Jeremy DeWitt welcomed Muskegon Mayor Steve Gawron to talk about all things Muskegon, Jim Rudicil of the Muskegon Luge and Winter Sports Complex and Comedian Ricarlo Williams-Winston entertained the crowd at the end of the night with a short set of his great material. The atmosphere was warm, the food was delicious and as far as the launch of a new shw goes, it was pretty dog gone good! If you missed it live or would just like to see it again... here you are, it's the premiere if Muskegon Tonight on The Muskegon Channel. Our thanks to everyone who braved the cold to come out and to out very gracoius hosts at Smash Wine Bar and Bistro for the awesome venue to hold the premiere show! 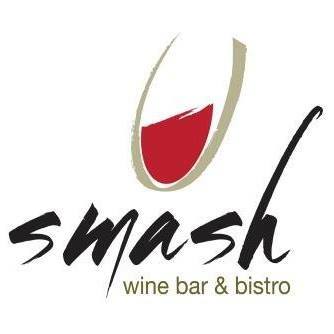 If you're looking for a great place to have a night out in an intimate setting, may we invite you to check out Smash! in the lower level of the Frauenthal Theater in Downtown Muskegon. You can have a look at their menu by clicking on their photo below. 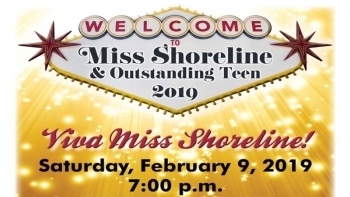 Taking place on Saturday, February 9 at 7pm....Muskegon Harbor Holiday Inn Ballroom. 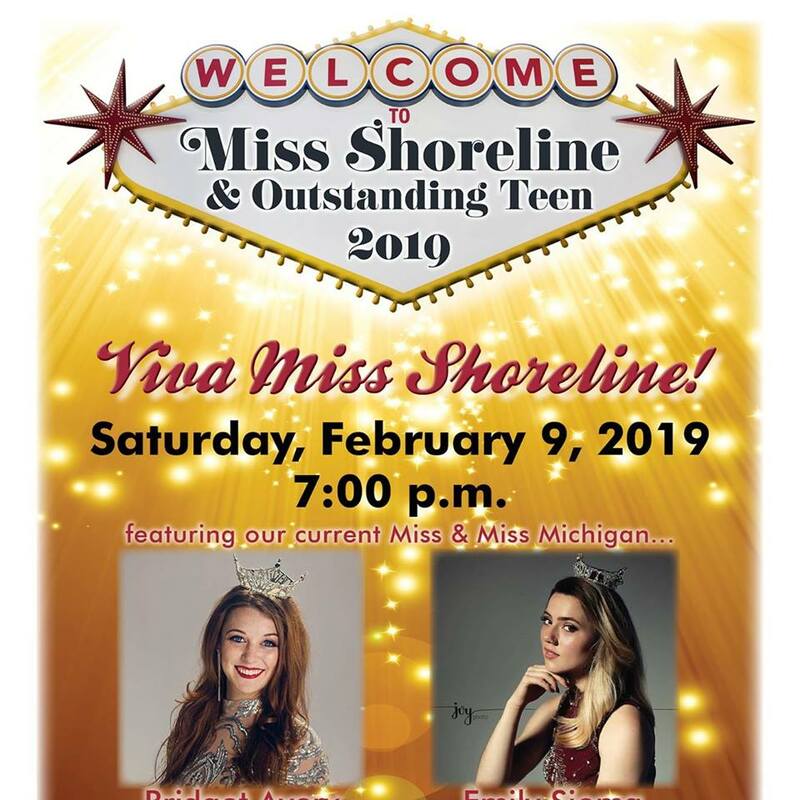 Young women from all over West Michigan will compete for the title of Miss Shoreline....and who will also be selected to continue on to the Miss Michigan competition. They will be judged on traditional attributes such as poise, talent, charm, physical fitness and even more importantly their knowledge of world and community events as well as their personal activism goals. Long gone are the days of thinking "pageants" are simply about physical beauty... And young West Michigan women have been breaking stereo typical pageantry barriers for many decade here in Muskegon...excelling as humanitarians, activists, volunteers, spokeswomen, positive leaders for our community in every way....proving that "beauty" is far more than skin deep. 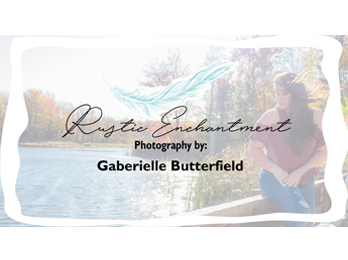 Visit their website by clicking on the photo below! That being said, we've had some pretty good success with streaming shows. We showed the Mona Shores Singing Christmas Tree live for the first time and had over 10,000 streams open up during the show. We have a couple more lined up soon, but beginning on January 31st we're going to launch our very own live talk show called "Muskegon Tonight". We're not out to re-invent anything. We're not going to innovate talk shows or go for the "viral hit". 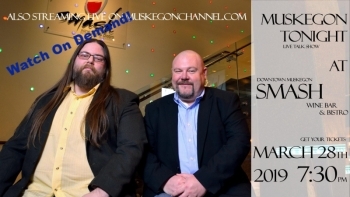 We simply just want a nice, fun and informative talk show, with a live audience that Muskegon can tune into for some interesting talk about news makers, events and interesting things about Muskegon. As we have said from the beginning, relying on out of town media to tell our story...we can do better, and "We have a New Story to Tell". Andy O will be joined by newcomer to broadcast Jeremy DeWitt who you might be familiar with from his band Yard Sale Underwear or maybe his "Podcasters of the Universe" show that he hosts. The first show is January 31st at Smash! 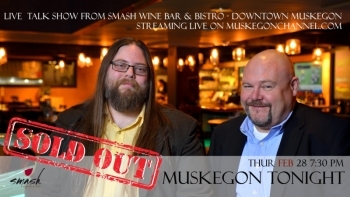 Wine Bar and Bistro in Downtown Muskegon and the guests include Muskegon Mayor Steve Gawron, Jim Rudicil from The Muskegon Winter Sports Complex and comedian Ricarlo Williams Winston from the Back Alley Comedy Club. Lauren Stanton caught up with Andy and Jeremy to talk about the new show just outside Smash! in the lobby of the beautiful Frauenthal Theater. Take a listen. As Mentioned, the seats are sold out for the first studio audience, but...you'll be able to watch on your connected device anywhere! 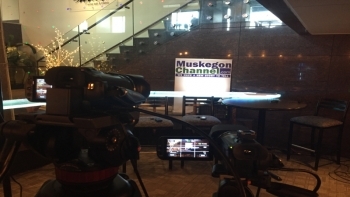 Just come to MuskegonChannel.com and be ready to roll at 7:30 on January 31st for the launch of Muskegon Tonight... Live from Smash! Wine Bar and Bistro! We're known for hockey in town. Like really well known. The storied history of the game here in town has been written about over and over and we continue to write the history, we also write the future. Youth hockey in Muskegon is a big deal. They start off as squirts and work their way up thru the ranks in to high school or travel teams and hopefully on to college, maybe the USHL and then on to the dream! It's happened, and it's going to continue to happen. We're "Hockeytown West" and that's the way it outta be! Well, sure we can't help ever individual youth hockey player, but, we can support the organization that helps them compete. 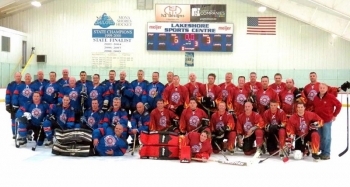 The Junior Jacks are part of the Muskegon Lumberjacks and they support young hockey players all the way from "Learn to Skate" to the travel leagues. They provide an inclusive atmosphere for young players and instill the values of sportsmanship and fair play. They work to provide a sustainable business model to make sure that they are around a while to keep the pipeline of players moving and the parents and coaches involved are all dedicated to assuring that these kids have the best experience possible. Fundraising is always a part of this or any youth program. But not everything is coupon books or candy bars when it comes to fundraising. The Jr. Jacks are proud to welcome former Detroit Red Wing Darren McCarty and some friends to The Back Alley Comedy Club for a night of fun and fundraising! 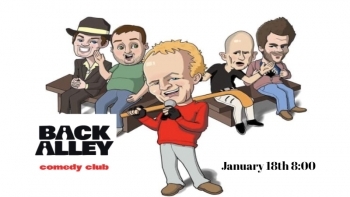 The Darren McCarty Slapstick Comedy Tour makes a stop at the Back Alley on Friday January 18th. 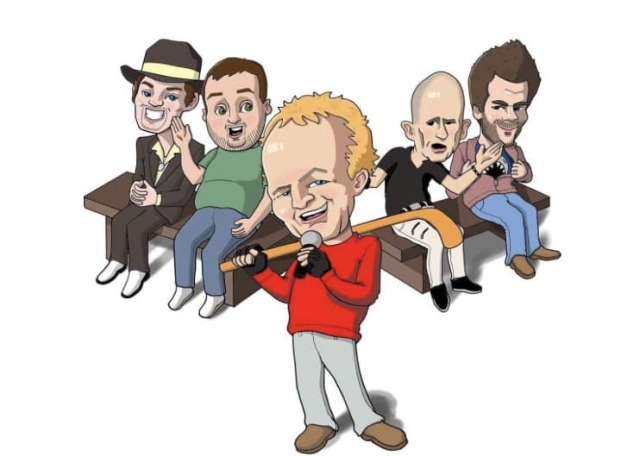 You'll get some great live comedy, some fun stories from McCarty about his life and life in the NHL and more. Tickets are still available and you're in for a great night if you get some! Chad Addicott is with the Jr. Jacks and we met up to talk about the organization and mission as well as the fun event. Take a listen. What an awesome night, and awesome cause! The Jr. Jacks do a lot of good for young people and if you have not noticed yet... 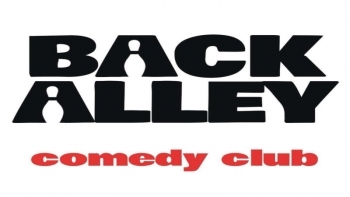 The Back Alley Comedy Club is coming on strong as a great place in Muskegon not only for entertainment, but a spot that's doing what they can to do the right thing for organizations that matter here in town. Head out for a Friday night of laughs and purpose! What's going on at The Back Alley Comedy Club! We're pretty excited to bring you a weekly update on who's coming to the club, what kind of special events they have on tap and when the big names are coming... you'll hear about them here! We're also going to welcome some of their regional acts on to help give them a bigger chance to be seen and give you a chance to kind of get the idea as to what you're in for when you head to the club for a show. A recap of Chris Katan, the upcoming show with Jamie Kennedy and a weekend filled with laughter this weekend for only $7 bucks??? You heard it right!! Get to the Back Alley Comedy Club and enjoy the fun!! The guy has really done it all. From comedy to rapping, radio, television and movies...Tom Green has not taken a break since 1986, which, if my math is correct would have made him about 15 at the time. Even a bout with cancer didn't stop him. He turned the experience into a pretty touching and very personal story of living through the experience of the entire process, even the graphic parts...which drew some pretty good acclaim. To me, it was more proof that most comedians are much more in touch with themselves and those around them than what you see in the act. He's back out touring now, and Muskegon is lucky to have him for Friday November 30th and Saturday December 1st for 2 shows each night. 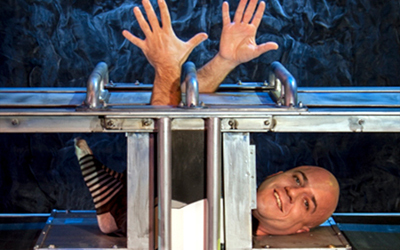 Shows both nights are at 6:30 and 9:30p and tickets are still available. You can find a link for them by clicking on the photo below. I had a chance to catch up with Tom for a few minutes when he got to town this morning, take a listen.